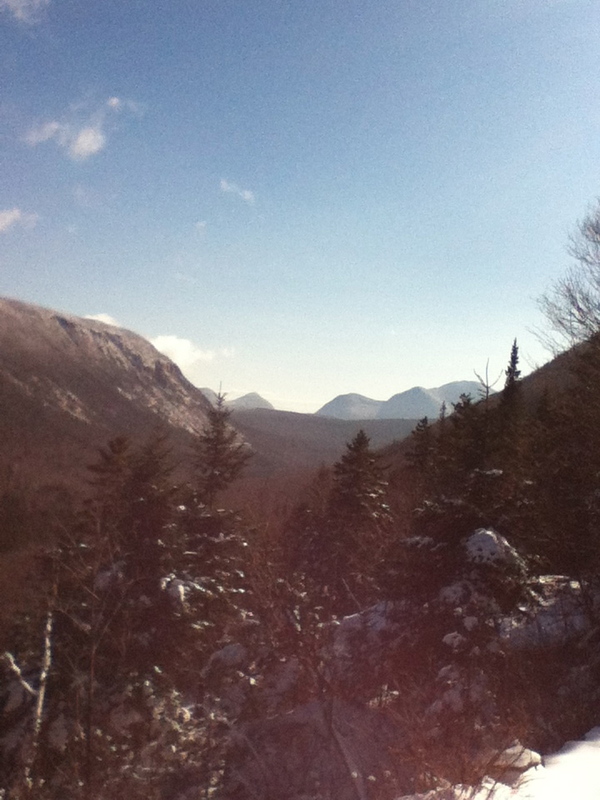 Recently, I spent a few days in New Hampshire, hiking with friends. It was just lovely; blue sky and clean, white snow. It was a bit slippery on the trails, so crampons were a must. 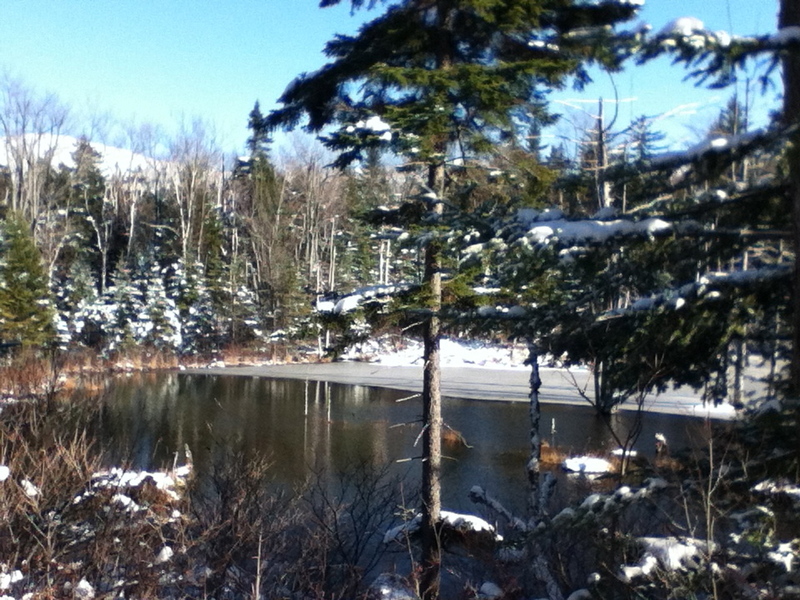 The first day, we hiked to Zealand Hut, one of the huts in the Appalachian Mountain Club system. I have been there before, and there are several things I love about it, including the waterfall and the way the hut is tucked into the mountainside. Here’s the view from the hut. 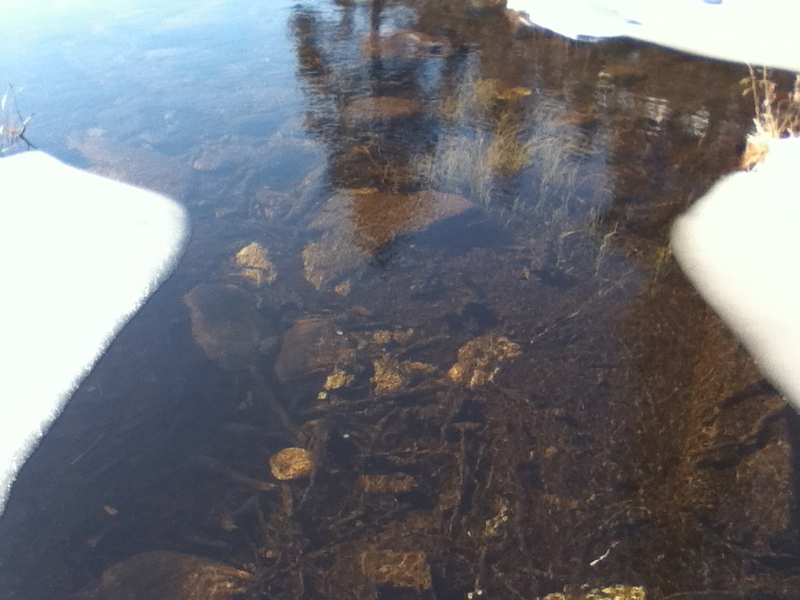 The streams were still running, and so clear you could easily see the rocks and leaves on the bottom. There was plenty of ice forming at the edges, though. We saw several beaver lodges and dams, and I wondered whether the beavers were still active, or settled in for the winter. A wonderful hike in wonderful weather. In my next post, climbing Mount Willard. What a peaceful and beautiful place you and your friends hiked. Thanks for the share. Thanks, Lee. It was a relaxing – if too short – getaway.